What we can learn from Pokémon Go! Over the past weeks hundreds of Islanders have joined the 7.5 million people who have downloaded the Pokémon Go mobile game to begin the quest to catch all 151 original Pokémon monsters. Islanders flocked to Howard Davis Park to take part in a team battle session of the mobile phone game, which is taking the world by storm. The smartphone game is now played by 40 million people across the globe and is expected to surpass Twitter’s user numbers if its growth trajectory continues. The phenomenon has most definitely spread to Jersey. Indeed, millions of people are having a lot of fun augmenting realities, but are there some lessons to be learned en route to becoming a Pokémon Master? We suggest there are, we look at our business and how we can apply Pokémon principles to best practice and HR. 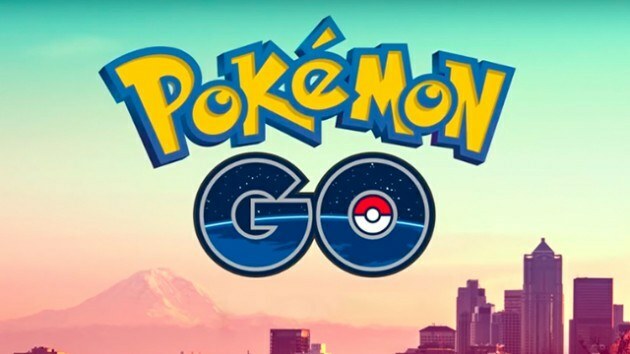 What makes Pokémon Go such a unique gaming experience is that players must explore and interact with their real-world surroundings in order to affect their game experience. Pokémon are categorized by “type” and each type of Pokémon has a specific habitat that they prefer to live in. The idea in this scenario is to go where the different Pokémon types are, in the hopes of adding them to a team. We find the same holds true when it comes to recruiting; we have to go to where the candidates are in order to connect with them. Our ethos has long been about understanding what types of candidates we need for specific roles. It might not be as easy as walking around a grassy field to rustle up different Pokémon, but our network helps us understand where our desired candidates congregate, and the knowledge on how to identify and subsequently match these highly valued candidates to the right role. Pokémon aren’t caught fully formed. A major element of Pokémon Go, involves training your Pokémon. “Training” in the game means exposing your Pokémon to battles against other trainers’ teams, where battle experience raises each individual creature’s experience level. It takes diligence and a solid strategy to train each individual Pokémon through these experiential fights so that they walk away with more points and abilities – instead of an injury. Training employees takes the same deliberate strategising that training these animated creatures does. A good HR or learning professional will understand what an organisation’s overall learning goal is, and create a program that supports individual employees learning goals, while also aligning to business expectations. The right learning management solution will enable continuous, collaborative learning to increase employee performance. At Kendrick Rose we support a number of initiatives, such as Board Apprentice and the IOD Work Shadow Scheme; just as training Pokémon is an ongoing process, training graduates and the workforce with continuous learning opportunities yields better results for both employees and organisations. In Pokémon Go, these trainer battles play out in designated locations, known as Pokémon training gyms. A winning trainer controls the gym, either helping in-game allies better train their Pokémon, or capturing a new location away from in-game rivals. A fire-type Pokémon will have a natural advantage over a grass-dwelling Pokémon, but will struggle against a water-type Pokémon. In order to maximize the chances of success in gym battles, a wise trainer will curate and train a diverse Pokémon team. Organisations should take the same mindset; businesses that prioritise diversity and inclusion fare better financially than those that do not. Both HR professionals and candidates are choosing to associate with diversity-minded organisations. We know how quickly the external environment changes, even the recruitment world has changed considerably over the past few years; by maintaining a broad reach and continually researching, we are well placed to recruit from a diverse network of candidates while considering race, gender, ethnicity, education backgrounds and work experiences. Whether you’re trying to catch a Charizard or better motivate your employees, a quick spin on the Pokémon Go app could be just the inspiration you need to become the very best at what you do. Like all good trainers, you will need the right tools to help you accomplish your goals.